Do you want to do something you love and make money while you’re doing it? You should consider setting up your own sports blog, writing about sports, and making money in the process. If you don’t know how to start a sports blog, you might be under the impression that it’s too difficult to do it. 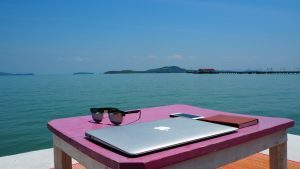 But in reality, you can set up a blog in a matter of just minutes and then build up a fan base while finding ways to monetize your efforts. 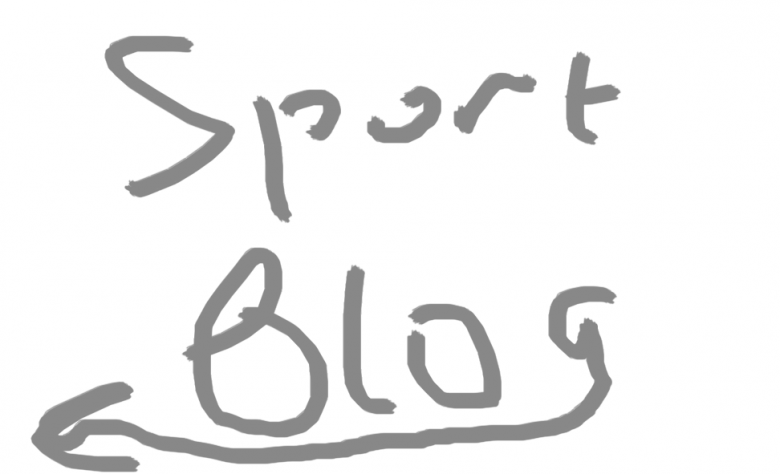 Find out how to start a sports blog below–and then get started on your own. The first thing you’ll want to do before you put together a single piece of blog content is to pick the platform you’ll use to blog. Most people choose to go with WordPress, but you have other options. You want to select something you will be comfortable with using. When trying to figure out how to start a sports blog, this is the part that frustrates people the most. They think they won’t be able to blog because they don’t have experience coding or doing any of the other things you need to do to create a blog. But don’t worry about it! WordPress and other platforms will allow you to set up a blog in less than 30 minutes with ease. You’ll be blogging in no time once you have your platform picked out. Once you’ve committed to blogging about sports by picking out the right platform, you’ll need to come up with a good name for your sports blog. You want something catchy that people will remember and will want to visit over and over again. After you have chosen your blog name, you should buy the domain associated with it–assuming it’s available. If it isn’t, you’ll need to go back to the drawing board and find a different name. Now that you know how to start a sports blog and have picked out a platform and created a name, it’s time to get started! You should try and figure out exactly what you want to blog about. Whether you want your blog to be all about the NBA’s best players or the best wedges for golfers, narrowing down the focus of your blog is a good idea. This will allow you to target those who are interested in something other than just a broad topic like “sports.” If you go after, say, amateur golfers who want to gain an advantage on the golf course, you’ll have a much better chance of gaining a faithful following for your blog. Social media has become an invaluable tool for anyone looking to start a blog. It’s especially helpful for sports bloggers who are active on sites like Facebook and Twitter. You can use social media to post links to the blogs you put up. You can also post GIFs, photos, and more on social media to build up awareness about your blog. You want people to get a sense of your blog’s personality through the posts you put up on social media. It will encourage them to come and visit your blog to see what you’re all about. This is the tricky part. By now, you’ve found out how to start a sports blog and you’ve done it. You’ve also racked up views on your site by posting quality sports blog content. So, how do you monetize it? Sell merchandise on your blog that your followers will appreciate. Create a “members only” section on your blog where people can get access to exclusive content for a small fee. Enroll in an affiliate marketing program and get rewarded for helping to sell certain products and services. Use Google AdSense to place ads on your blog. Offer advertising opportunities to larger companies (this will be a real possibility once you’re bringing in about 10,000 unique viewers every month). Not all sports blogs are profitable. You need to be strategic about how you approach blogging if you want to make money from it. But if you don’t start making money right away, don’t get frustrated! As long as you’re willing to work at it, it’s more than possible to make money by blogging. Your blog is up and running. It has a ton of great sports content on it. You’re even making some money on it every month. Great! But you shouldn’t stop now. In fact, this is really only the beginning for you and your sports blog. Learning how to start a sports blog is the first part of the battle. But once that’s done, you need to keep putting quality content up on your site so people come back to it again and again. You should also continue to push the boundaries and create new content so that people are encouraged to come back. As time goes on, your brand will become bigger, and people will begin to tell their friends about it. This will lead to you running a successful sports blog and making money as you do it. There are so many good reasons to start a blog in 2019. Whether you blog about sports or another topic, it will be fulfilling and could even turn into a full-time job before long.